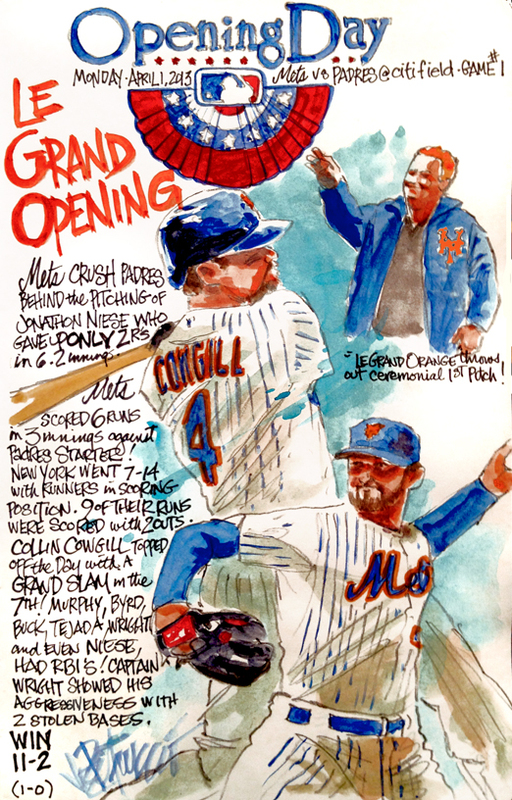 My Mets Journal: Le Grand Opening Day! Didn't over look it. Thought about putting it in but there were so many positives today, why cloud them. I'm sure there will be plenty of time and paint spent on things like 0'fers. The 30+ pitches was key. I'm expecting a great year from Ike. I just love your work. As excellent as the art is, I really admire the words' capacity to convey the essence of a game with such brevity - the joy of a W; and the poignancy of a L.
Thanks Luke! It's going to be a tough year. So glad to see you're back running with this! To many more color images than black and white in 2013! 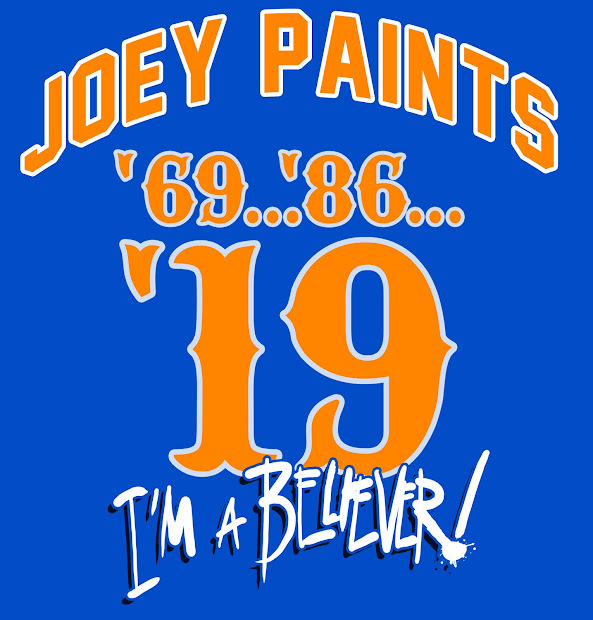 LGM!